Camping holidays in Europe have always been popular, with most continental campsites boasting facilities that put our basic camping fields to shame: large swimming pools, waterslides, kids clubs and more. However, our European friends continue to enforce some local camping rules which you might be wary of. This list focuses on a select few French campsites who insist, for “hygiene reasons”, that males wear tight trunks or swim briefs around the pool area. We can’t find a valid reason for such a rule. But if you’re full of body confidence and have a new set of budgie smugglers that you’re keen to show off to our Gallic neighbours, then this is the list for you. 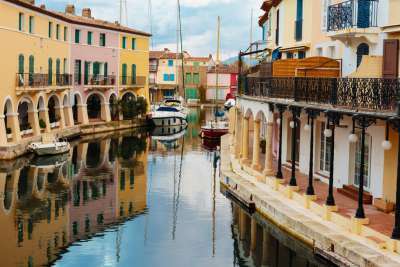 Port Grimaud (pictured) is a boat lover's paradise. Similar to Venice, waterways replace roads and this colourful town is full of yachts moored up next to their owner’s private properties. 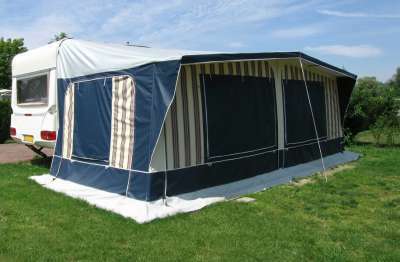 Within walking distance is Camping Club Holiday Marina. There are activities for all the family but be warned as swimming in shorts is strictly forbidden. Lycra and trunks are only permitted at this campsite. 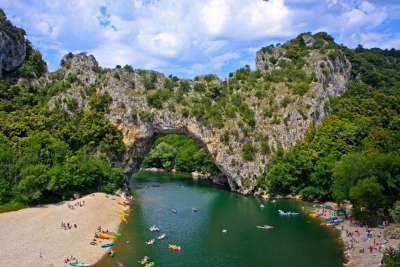 The Ardeche is an unspoilt region just north of the Cote d’Azur. Its undoubted highlight is the river that winds through the spectacular gorges. A canoe trip passing through the Pont d’Arc (pictured) is a must, as is sampling the magnificent wine from the many vineyards in the area. Our favourite has to be the town of Chateauneuf du Pape. Camping Chateau de Boisson is located in the heart of the Ardeche and as a member of the well regarded Castels camping chain you are likely to get a good range of camping facilities. However, be aware, this is one campsite that tour operators say is very insistent on you wearing proper swim trunks. 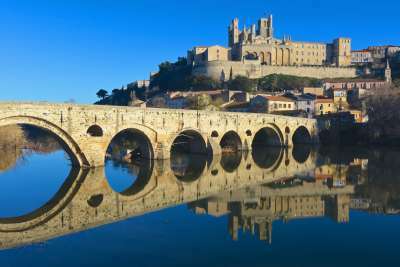 Close to the ancient French town of Beziers (pictured), Camping les Sablons offers holidaymakers a variety of activities throughout the summer months. 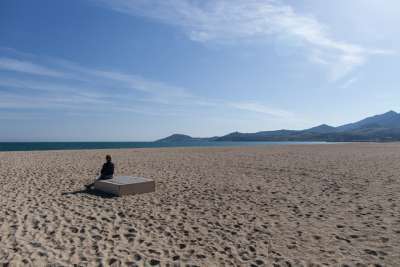 Its best feature however is the direct access to the beach and the Mediterranean Sea. If the beach scene is not your thing then the campsite’s waterpark area has a number of swimming pools and waterslides. They do enforce a no short rule here, but at least they acknowledge it in a humorous way on their website. This site gets numerous mentions on holiday forums and checking the campsite’s own website we were in no doubt that this campsite should join this top 10 list. It states that “it is obligatory to wear tight swimsuit or swimming trunks.” Aside from the strict enforcement of posing briefs, this campsite boasts an equestrian centre, a mini farm and lots of opportunities for bike rides. Again this campsite is another member of the Castels chain so expect high standards and a good quality camping experience. 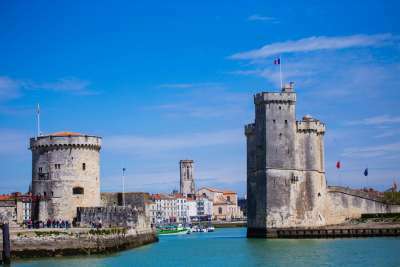 Nearby is the city La Rochelle (pictured) if you are looking for a day away from all the onsite activities. To demonstrate that this is not a phenomenon only occurring in the south of France or on the Atlantic coast, our next campsite is close by to the ferry port of Cherbourg on the Normandy coast. 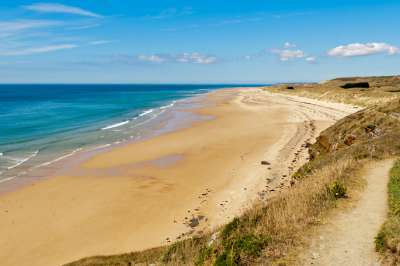 Again, a stunning beach (pictured) is close by and you can take excursions to visit the Channel Islands or Bayeux, home of the Bayeux Tapestry. Camping du Golf offers guests access to their own heated indoor swimming pool but only if you're in swimming trunks. The Ille d’Oleron is the second largest French island after Corsica and is a popular tourist destination with both the French and the British. Thus campsites get very full in peak summer months, especially the annual French holiday that is August. 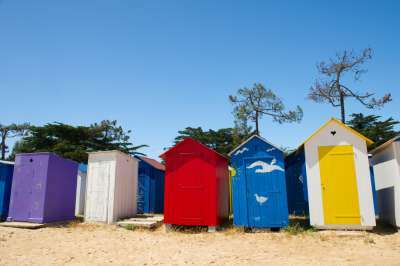 Holidaymakers can enjoy fantastic Atlantic Coast beaches such as the one at St Denis with its colourful beach huts (pictured). Nearby to this beach is the Domaine d’Oleron campsite. There is a pool and waterslide but swim shorts are not allowed and you also have to wear wristbands to show you are camping at the site. Tight fitted boxers and bathing suits are only permitted at this campsite five kilometres north of the beach town of St Rapheal (pictured). 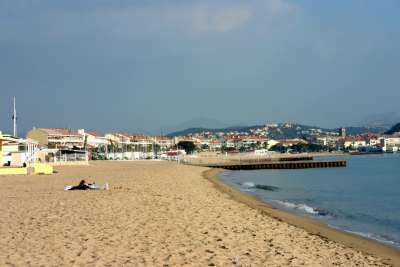 As it's set in the heart of the Cote d’Azur, Nice, Cannes and Monte Carlo are all possible for day trips. As another member of the Castels chain you’re likely to find a good quality campsite although there does seem to be less facilities at Douce Quietude compared to other campsites in this group. 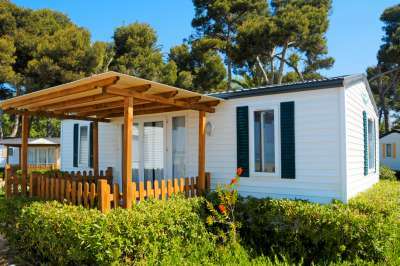 Located in the Vendee, Camping Zagarella is located within a pine forest close to the many of the beaches that run along the French Atlantic coast. Unique to this campsite’s swimming pool complex is a spacebowl water slide but do be careful what swimwear you are wearing. Don’t worry though, as if you forget or fall foul of the rules there are supermarkets close by where you can pick up suitably tight trunks. Camping next to a lake can also be a great holiday experience. Many campsites will have their own beach area allowing you to swim in the natural surroundings of the lake. Domain de Chalain is located in the Jura region, just north of Geneva and boasts lakeside access as well as a number of swimming pools. We suggest you pack your best lycra aquashorts or speedos as no shorts, boxers or bermudas are allowed.